Judy Garland’s heart was indeed broken for most of her regrettably short life; but if anyone knew how to smile through pain, it was little “Baby” Gumm. Already a sensation by the age of two, Frances Ethel Gumm adopted the name Judy Garland in 1935, at the age of 13, and transformed from a small stage vaudeville act into an international superstar (Clarke, 2000). Upon her untimely, but tragically foretold, death in 1969 from long-term drug and alcohol abuse and a prolonged overdose of amphetamines and barbiturates, she left behind a legacy that has already survived longer than her prematurely ended career. An icon of the golden years of Hollywood, Garland spent her time singing and dancing alongside legends such as Gene Kelley, Mickey Rooney, and Fred Astaire; on stage and screen she created vivid worlds of fantasy and happily-ever-after’s, but her personal life was far from a dream come true. Sunday, June 22, 1969; it’s 10:40am in Chelsea, London: a phone rings, its screech assaulting the peaceful tranquility of the modest mews cottage at 4 Cadogan Lane. Still tired after a rowdy night, Mickey Deans answers the phone to stop the offensive noise; the caller would like to speak to Mickey’s wife. Alas, no one would ever again have the honor of speaking to Mrs. Gladys Deans, more commonly known as Judy Garland. Garland’s fifth husband; to whom she had only been married three months; found her lifeless body locked in the bathroom of their townhome, having finally succumb to the excessive quantities of amphetamines and barbiturates which had been a steady part of her daily routine since pre-pubescence (Clarke, 2000). At the age of 47 the legend, icon, and beautifully tortured soul was dead, killed by what helped make her a star in the first place: unregulated doses of amphetamines and barbiturates, initially used to wake the young star up and put her to sleep as needed. MGM Studios frequently used this addictive and lethal combination of drugs on their talent to keep them performing at their best, and on demand; to the corporate puppet masters, the young stars were merely toys and equipment that could be turned on and off as needed. Amphetamines were also used to help control weight and almost before the ink was dry on her contract, MGM had Garland on a strict regimen to lower her weight. Before she even turned 14, she was already heavily dependent on a regular schedule of uppers and downers and was persistently being told she needed to lose weight and achieve a more flattering figure. Three decades later, the effects of this early addiction and mental abuse took their toll when they took Judy’s life. Although she never would have received such a diagnosis during her lifetime, Judy Garland suffered from obvious Addiction and an early form of Body Dysmorphic Disorder, associated with an unspecified eating disorder, mostly due to her mother’s and her managers’ insistence that she lose weight and take the pills to help maintain her hectic schedule. By the time she was free of the strangling control of her superiors, it was too late, she was already controlled by the tight grip of mental illness and there would be no escape for the tormented starlet. Shortly before Ms. Garland’s death, although too late to help Judy, the Alcoholic and Narcotic Rehabilitation Amendments of 1968 went into effect, creating facilities specifically designed for the rehabilitation of addicts. Had this treatment been available earlier, perhaps the world would not have lost such a bright young star so early in her life. Judy Garland, or more accurately Dorothy Gale, has been a personal hero of mine since before I can remember. The magic and fantastic world that she brought to life in The Wizard of Oz encapsulated me and had me standing outside on windy days wishing a tornado would swoop down and carry me off to Oz. 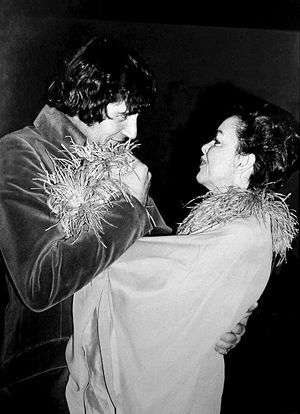 I wanted to be her in more ways than one: I dreamt of flying off to Oz and meeting mystical creatures and characters like Dorothy did, but I also dreamt of being a star like Judy Garland and what it must have been like to live her life, with her talents. As a youth, any stories I heard about her addictions or any blame lay on the makers of The Wizard of Oz or MGM for her death were immediately disregarded as rumors and slander in my mind. I wanted to believe in the idealistic image of the doe-eyed Dorothy Gale and refused to accept contrary accounts of her real life. What I learned when I opened my eyes to the harsh realities of the world was that I had more in common with my hero than I ever imagined. The depression she experienced, the loneliness and need for attention and affection, and her battles with her weight and the subsequent substance abuse that arose from her negative body image. I have lived with each of these conditions for most of my life, and now, rather than deny Judy Garland’s imperfections, I embrace them and keep her life and story close to my heart as a reminder of what could have been had she received proper treatment, as well as what might not be if I follow her down the same path of self-destruction. Although Judy suffered from anxiety, depression, and a host of other mental and physical problems, she never let the public know just how much she suffered. No matter how sick or how emotionally unbalanced she was, Judy knew- the show must go on, and it (usually) did. An obscure fact most people are unaware of is that Judy often suffered from extreme stage fright, sometimes having to be literally pushed onto the stage before a performance; but once her feet hit that stage floor, everything changed. Judy blossomed under the stage lights and thrived on the applause of her crowds; she was a true performer, always “on” and ready to give the world what they wanted (Clarke, 2000). One of the greatest attributes I learned from her is the ability to smile through pain, fear, and anxiety; pushing personal issues down and only sharing the best of myself with the world. As an adolescent I spent my time in theatres and auditoriums, running lines, playing ridiculous improvisational games, making funny faces to the phrase “May, Me, Ma, Mo, Moo” and trying to capture the attention of my audiences the same way Judy did. While I certainly never accomplished any stage performance that could be placed near the same league as Judy Garland, I did use her technique of “Just Smile” to get myself through the worst days and hardest performances. Many times before a show I could be found hiding in a ball in a corner behind a curtain, trembling and crying, but when the overture began and the lights came up my tears dried, the shaking stopped, a smile replaced the grotesque contortions of my weeping face, and after a final mascara check and makeup touchup I was on the stage riding a high unlike any other- attention and applause were my opiates. No matter what was happening behind closed doors, Judy would always keep on singing, enchanting her audience with her seemingly perfect life, carefully masking her deepest, darkest secrets behind a smile and a twinkling eye. Sadly that twinkle that captured her fans’ attention and pulled on their heartstrings was not the gleam of excitement and happiness as she wanted the world to believe, but the tears that were so close to spilling over her eyelids. However, she had her fans wrapped around her finger, and they loved her no matter what she did. What her audiences didn’t know was that they also held Judy in the palms of their hands, and held as much power over her as she did over them. I consider myself lucky to be living in an era where these conditions are recognized as, and treated like, the medical diseases they are, and I have been able to receive the support and care I needed to continue to live a productive life. I now strive to help others who suffer from similar conditions. In my everyday life, as well as in my future career as a mental health counselor and dietitian working in the rehabilitation of victims of eating disorders and substance abuse, I hope to use my personal experiences to help others overcome these and other similar life-threatening diseases. The slow deterioration that eventually led to Judy Garland’s death began on the studio lots of MGM when she was still just a child. Her afflictions only worsened over time, and throughout her adolescence, young adulthood, and adult life her health and mental stability continued to decline. Each stage of her illness has influenced my career path and I have found myself working with all ages in various roles of the health and fitness industry trying to help others avoid the same dangerous path both Judy and I traveled for so long. For several years I worked in the children’s fitness industry, instructing children, from toddlers to pre-teens, on healthy diet and exercise habits. I taught the benefits of a healthy lifestyle and the dangers of poor eating habits and negative thinking. Currently, I work at a restaurant that only hires attractive females in good physical shape to work as servers and bartenders. These girls are put under an enormous amount of pressure to maintain the “ideal” body size and shape, and are often told by male management that their jobs are on the line if they can’t fit into a smaller uniform. These young, easily influenced girls rapidly develop body image complexes and often resort to extreme methods to lose weight, creating dangerous habits that develop quickly and easily, but are often almost impossible to break. Although my position at this restaurant is the same as all the other girls, I have taken it upon myself to help these girls understand the dangers of negative thinking and poor eating habits. Many girls, after being told by management to get a bigger uniform or lose a few pounds, come to me, seeking advice on how to lose weight. Even those who are unaware of my studies in nutrition and physical fitness, note my small but healthy frame and come to me seeking help in losing weight. My advice is always the same: a brief rundown on portion control, healthy, natural foods versus fried, greasy, processed foods, and the importance of cardiovascular exercise, followed by a serious conversation on the dangers of excessive dieting. This is when I usually start to lose their attention: they’re young minds have already been influenced by a male superior’s ideal of the feminine form. These demands put upon the girls to fit this image can plant the seed of and feed Body Dysmorphic Disorder, a precursor to dangerous behaviors of eating disorders. I fear for these young girls and try to instill in them the dangers of this particular work environment and the importance of self-confidence along with the requisite ability to let negative comments go in one ear and out the other, without leaving a scar. Although I am a long way from reaching my ultimate goal, I hope to one day achieve my Master’s degree in order to work in an official capacity to help quell the epidemic of eating disorders and related substance abuse. The physical and mental roller coaster that was Judy Garland’s life as well as the cause of her death, serves as a warning tale for women, and men, everywhere about the dangers of substance abuse, untreated mental illness, and the power superiors have to manipulate their employees. The world could be a very different place had we not lost such an amazing talent to drugs and mental illness so early in her life; the amazing body of work she produced even with her illnesses shows a fraction of what she could have accomplished had she led a healthy, long life. Her influence on civil rights movements could also have been of great significance. By the 1960’s she had become an icon in the gay community, had she been well enough to fully embrace the power she held to influence the world, perhaps gay rights would have had a strong enough leader to create the equality still denied to many gays and lesbians today. No matter where you travel in the world, if you say the name “Judy Garland” everyone knows who you are talking about. Her public persona displayed confidence, composure, and above all else, immense talent. Her private persona, on the other hand, was almost the complete opposite: anxiety ridden, shy, brash, and unhinged. Judy spent her life searching for her “over the rainbow,” sadly she never found it. However, her life was not all heartbreak and trauma; Judy Garland truly loved to perform and entertain, and she spent her life doing what she loved, for better or worse. Her legacy is not simply comprised of a songbook and some DVD’s; Judy’s life of talent, triumph, illness and addiction remains an inspiration for millions of people around the world: male, female, gay, and straight alike. Farber, D. (1994). The Age of Great Dreams America in the 1960’s. New York, NY: Hill and Wang. I’m sorry you were left disappointed by my piece 😦 It’s a personal essay with the theme of Judy Garland’s long-lasting effects on our society and how her triumphs and failures gave generations of people the courage to stand up for what they believe to be right. Judy Garland has always had a large, personal effect on my life and so I chose to present this topic as a personal essay. But hey, that style isn’t for everyone. But I am disappointed you didn’t find anything interesting, new, or insightful you hadn’t known before. I guess I’ll have to work harder and dig deeper, both historically and emotionally. Thank you for the feedback, it is most appreciated. I’ve always loved Judy as a child. I grew up looking forward to the yearly televising of the Wizard of Oz. Her voice was enchanting and I thought “what a great life.” I’ve always been a fan of old movies and some of the beautiful starlettes of that era. As I grew up and began to research I was so dissappoined to find out about her tyrant of a mother and the sickening pathetic bullies and pedophiles at MGM. Then it made sense to me why she died such an unnecessary tragic death. They are all murderers in my eyesight. Despite the tremendous abuse… had the courage and determination to go against all odds and live through her music and acting career. “I love you Judy” and your spirit and legacy lives on.